Hannah DeVoe, a sophomore at Warren Hills, is a staff reporter on The Streak. This year is Hannah’s first year on the newspaper staff. When she is not working on The Streak, she is fulfilling her second year on the JV Cheerleading Team and the JV Game Day Team. She is hoping to go down to Nationals and compete for the National title. 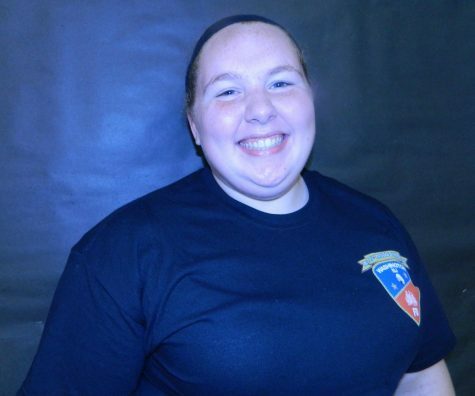 Hannah enjoys coaching the Washington Township Panthers flag competition and football cheerleading team. This year she hopes to go out for shot putt on the track and field team. On her downtime Hannah enjoys listening to music, watching her shows on Netflix, and hanging with friends and family. DeVoe is a member of the Warren Hills Select Choir for the second year in a row. She loves to sing (especially when she has the house to herself) and listen to her favorite Broadway musicals and country songs. Hannah hopes to major in elementary education, where she can become a teacher and inspire kids like her teachers inspired her. She also would like to minor in both special education and journalism. Hannah loves Harry Potter (both books and movies) and she wishes that her students will have some of the same love she has for it.